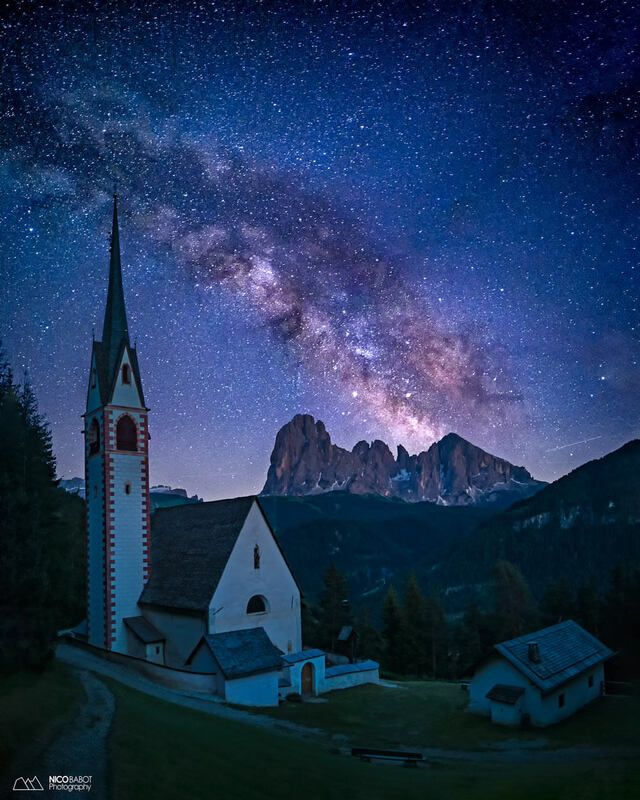 The plan was simple: go to the Dolomites, hike to some remote locations to get minimal light pollution and capture the Milky Way over some of the most recognisable features of the Dolomites mountains. Nothing very difficult you might think. The catch: I wanted to do this using a smartphone! 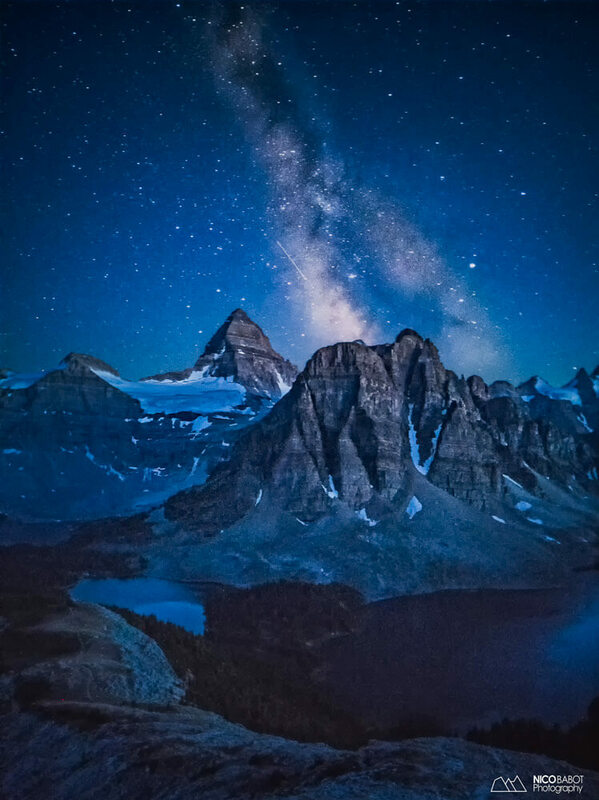 I got this idea a year ago when trying to capture a night shot in Mount Assiniboine Provincial Park in Canada. The results were more than promising. At that time, I was using a Huawei P10 and when I saw the specs of the new P20Pro (larger sensor and low light capabilities), I decided to give it a go. 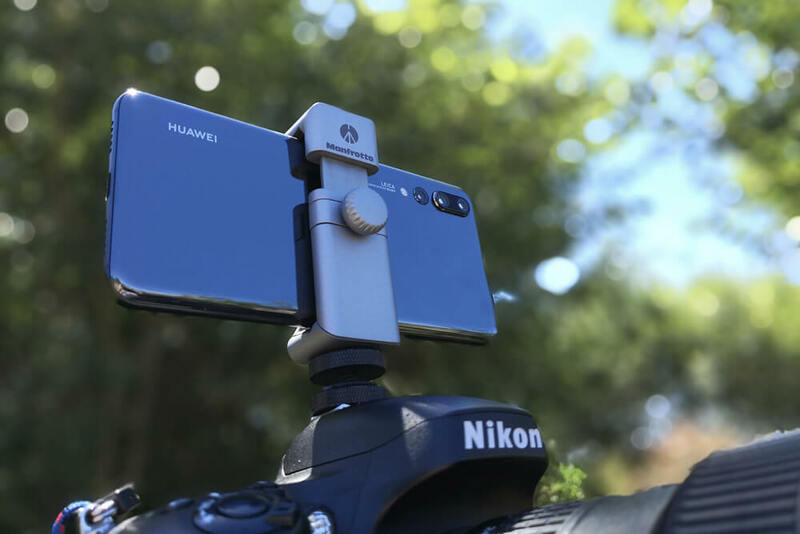 The only thing I needed was a sturdy tripod and a way to attach the phone to my camera (which I was using as a backup in that case…). 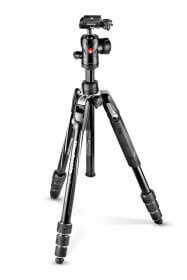 I solved those problems using the Manfrotto Befree Advanced and clamp TwistGrip . 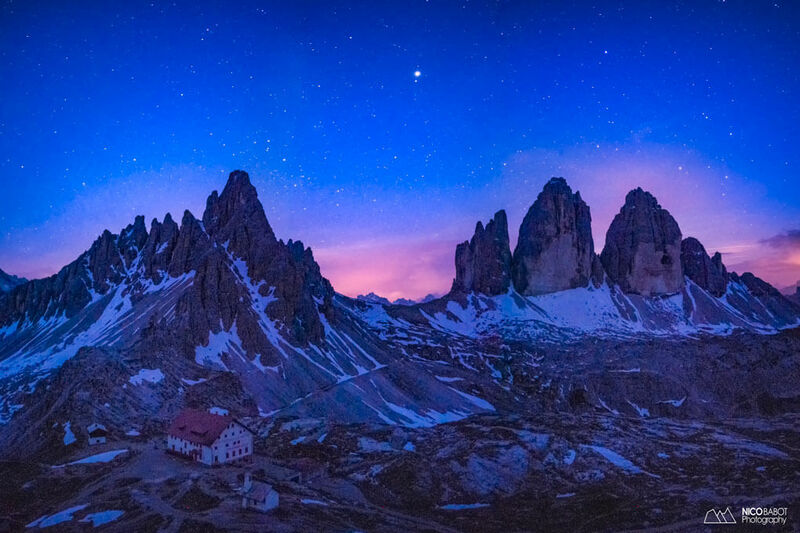 All the technical details taken care of, I made my way to the Dolomites mid-June, in order to make the most of the new moon. With the moon being hardly visible, the dark sky is perfect for shooting the milky way. I had my list of shooting locations ready and I was getting excited with the prospect of getting back with all those amazing night sky shots… This is when I got reminded that all the preparation in the world will not prevent you from one pitfall… weather. The first week of my stay was one of the wettest I’ve ever had at this time of the year. I’ll be honest, that first week was hard on my nerves. Each night, I would get out of my sleeping bag, point my nose outside, wait for a minute, giving time to my eyes to adapt to the obscurity, hoping to see the glimpse of stars and would see only clouds rushing by. I would repeat that process every 30 minutes, all night, each night. The sleep deprivation was taking a toll on my mood and I started to doubt the sanity of that project. Luckily, after 10 days of challenging conditions in every aspects things started to turn around. I was not getting cloudless nights but this was enough to get some amazing shots. The nights were still sleepless but somehow, this was not an issue anymore. And finally, on my last night and after two weeks roaming around the Dolomites mountains, the weather gave me what I was waiting for: a cloudless night. This was one of those summer nights when you can hear cicadas singing until late in the night. The air was warm, with just a gentle breeze going through the trees. 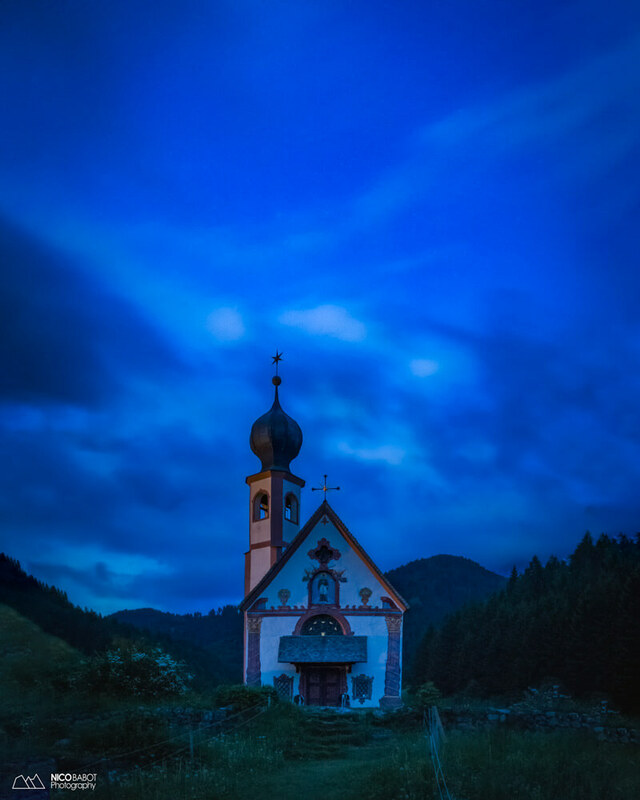 I was alone, on a mountain slope overlooking an old church built in the 13th century. I spent a few hours there, just enjoying the view, the Milky Way slowly rising over the mountains in the background. One magical night I had been chasing for 2 weeks. Finally!